Derived from the French word for “Health”, Sante MD is Sandy Springs, GA preeminent high-end Medical Wellness Center. We pride ourselves on a full-service patient experience from our seasoned professional team of healthcare experts, all while in the comfort of our first-class luxury newly constructed facility. All located under one roof, SanteMD medical professionals include a Cosmetic Surgeon, Dermatologist, Licensed Aestheticians, Nutritionists, Medical Weight Loss Professionals and Primary Care Physicians. Download the Sante MD App today! 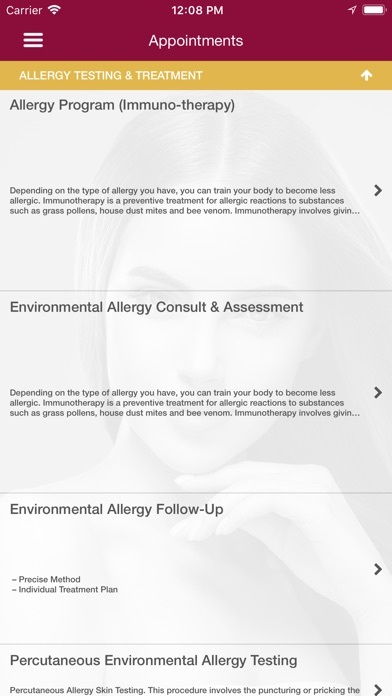 An App as comprehensive as our Wellness Center & Treatment Plans! FROM THIS MOBILE APP YOU CAN: *Meet the Team *View Schedules of you're Favorite Team Members *Book Appointments *View & Learn about all Services Offered *Utilize our Telemedicine Platform *Visit our Gallery of Pictures and Videos *Take a Virtual Tour of the Facility *View Ongoing Promotions, Specials & Packages *Connect with us on our Social Media Pages *Take Advantage of our Membership Opportunities *Visit our Online Store of Sante Skin Care Products *Stay Informed with our Calendar of Events *See our Awards, Associations & Reviews *Stay Informed on our Blog *Access our Monthly Newsletter *Purchase Gift Cards SANTE MD OFFERS A WIDE VARIETY OF SERVICES INCLUDING: *Medical Weight Loss *Men's Health *Women's Health *Hormone Replacement Therapy *Sexual Dysfunction *Alternative Pain Management *Aesthetics *Botox & Fillers *Laser Hair Removal *CoolSculpting *Skin Tightening *HydraFacial *Vampire Facial (PRP) *Chemical Peel *Microblading *Ultherapy *Microneedling (Radio Frequency) *Spider Vein Removal *Nutritional Counseling *Allergy Testing *Food Sensitivity Testing *Sleep Apnea *Vitamin IV Therapy *Cosmetic Non-Surgical/Surgical Procedures *Dermatological Services *Physical Therapy *Massage Therapy *Chiropractic Care *Many more… For many of our patients, Sante MD Wellness Center is their "Home away from Home". We look forward to providing you with the same great service and comfort that you deserve. Join the Sante MD Family & Download this App today!